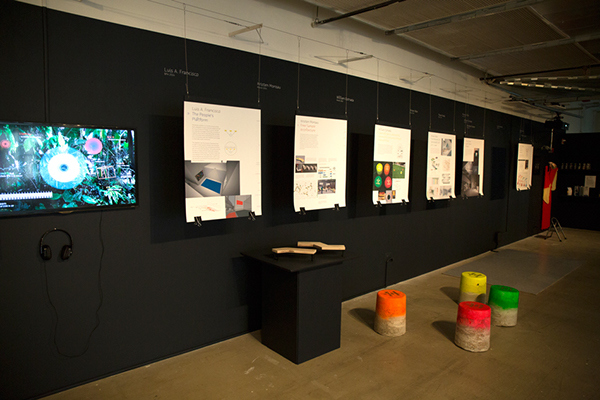 Year: 2014 ATTACHMENTS celebrates autonomous components as well as the bonds that stitch them together. 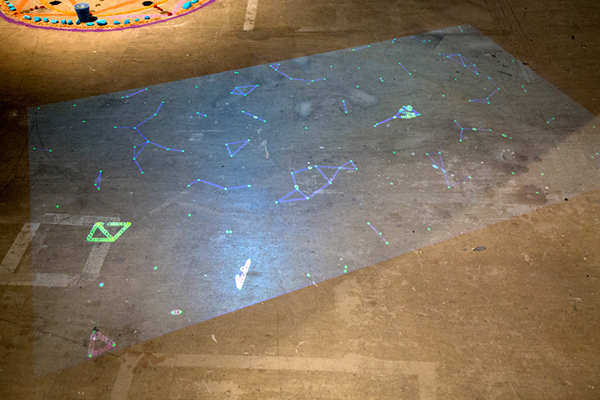 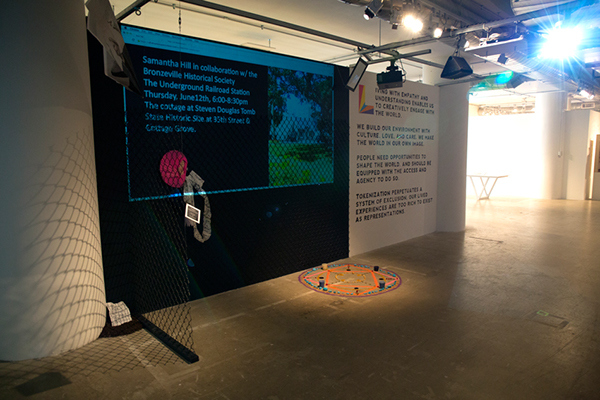 Featured works address the idea of attachment literally, emotionally and conceptually, seeking connections within personal and public environments or pursuing interactions between traditions and emerging practices. 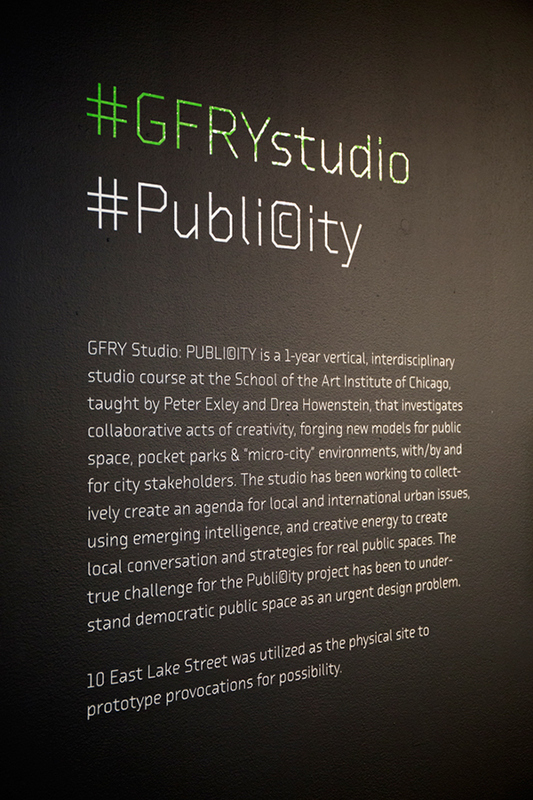 PUBLI©ITY is a 1-year vertical, interdisciplinary studio course at the School of the Art Institute of Chicago, taught by Peter Exley and Drea Howenstein, that investigates collaborative acts of creativity, forging new models for public space, pocket parks & “micro-city” environments, with/by and for city stakeholders. 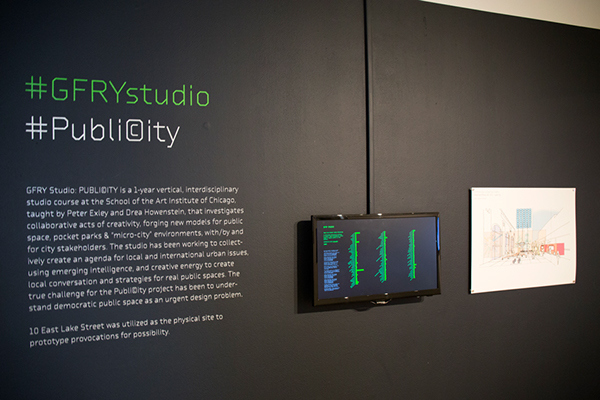 The studio has been working to collectively create an agenda for local and international urban issues, using emerging intelligence, and creative energy to create local conversation and strategies for real public spaces. 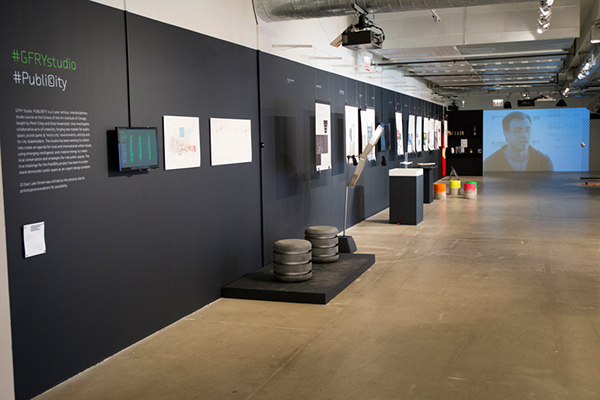 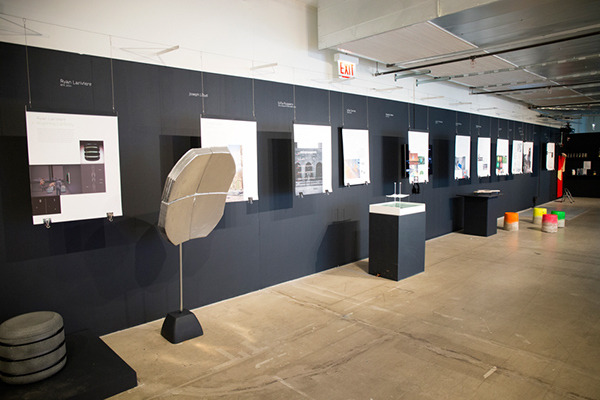 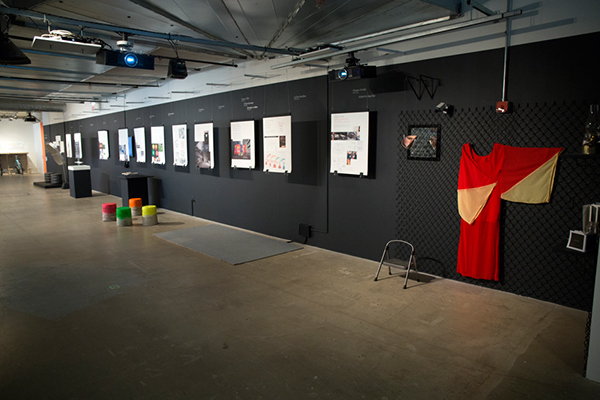 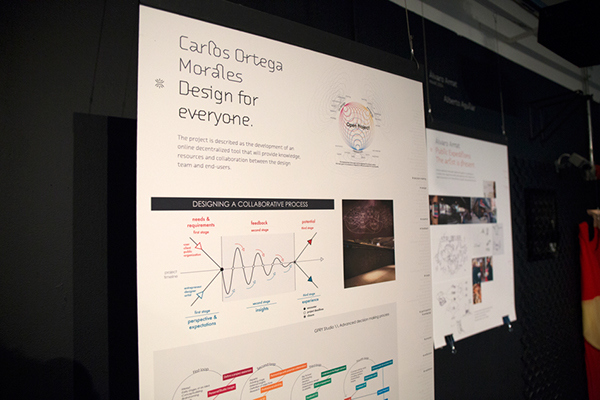 Collaborative design of the exhibition and layout of all projects done at the GFRY Studio 2013-2014 during the 2014 ATTACHMENTS Design Show at the Sullivan Galleries in Chicago, USA.